Want to know where the sweetest of night lights are hiding out? No longer in the dark, we’re shining a bright light on the cute collection of lights found at A Little Lovely Company. 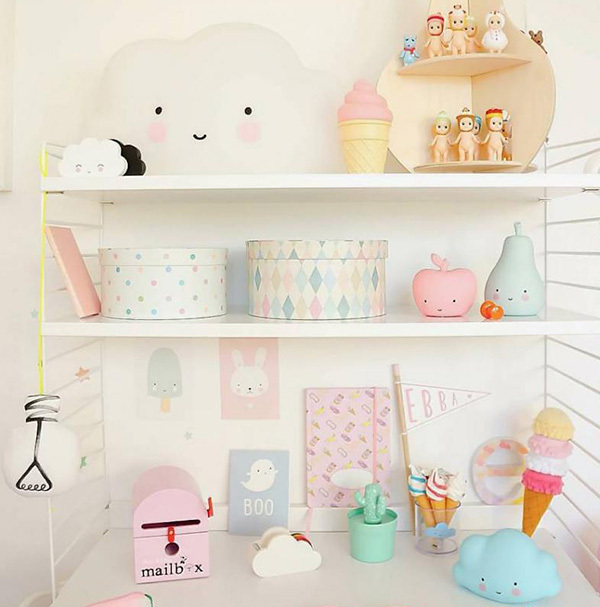 The light which I feel steals the show, the Big Cloud Light, is perfection for the nursery. Functional cute at its finest, the Big Cloud Light (€66.50) is a touch light which turns on, dims and turns off at a simple touch – and it even turns itself off after 30 minutes. There’s a whole range of mini lights to peruse, priced from €9.95. Seeking inspiration from the fruit bowl, pears, apples and pineapples have never looked so sweet as they cast their soft pastel glow. Truth be told, there’s a couple of super cute figure lights nestled upon the virtual shelves of A Little Lovely Company I’d like for myself. 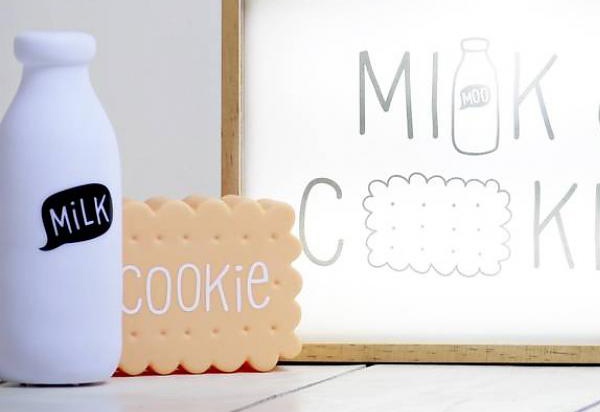 Naturally, they’re food orientated, but I’m confident I can find room in my kitchen for both the Mini Milk Light €9.95 and its perfect partner in lighting up the dark, the Mini Cookie Light, €9.95. To see the whole range of lights available, head on over to A Little Lovely Company.